• Cleaning: CAPACITY: 6.7 Cu Ft.
WTVC533CUS Vision 500 Series Sepia Front-loader Electric Dryer 6.7 cu. ft.
• Cleaning: CAPACITY: 3.95 Cu Ft.
• Cleaning: CAPACITY: 3.9 Cu Ft.
We will take a look at three different Bosch dryers series, 500, 500 plus, and 800. Bosh is a company that began in 1886. It started with one man, Robert Bosch, who helped create and build the company to be one of the leading manufacturers of home appliances in the world. You can find the Bosch name all around the world, in more than a hundred different countries. If you already have a great washer that is efficient and helpful, then you want a dryer that is equally helpful and efficient. So, now that you have a great washer, you definitely want a great dryer as well; however, there are a variety of excellent dryer options to choose from. One excellent dryer option is the Bosch Next dryer, which is a quality dryer that has a lot to offer you. 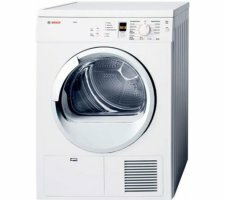 So let’s take a closer look at the Nexxt dryers that are offered by Bosch and what they have to offer you. Before we get into the different Bosch dryers and their series, let's have a look at some of the similarities that all Bosch dryers share. For instance, all dryers are efficient. They are designed to work with the time of the Bosch washing machines. Furthermore, each dryer includes a variety of different sensors that are designed to determine the temperature for drying, giving you an efficient and thorough dry each time. In fact, these dryers are designed to help you cut energy waste by as much as fifty percent yearly.You can also rely upon gentle dryer, EcoSensors, and quiet operations. Your clothes integrity is on the line and Bosch takes steps to ensure that your clothes are handled carefully, while ensuring cleanliness at the same time. 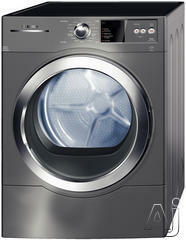 All with a technology that minimizes the sound and keeps the operation of the dryer quiet and smooth. 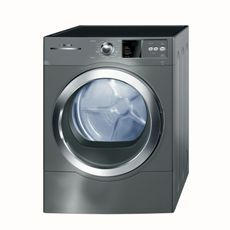 These dryer is available in three models… the 500, the 500 Plus, and the 800. Each series is available plumbed for either electric or gas. All the models are available with an optional pedestal with a storage drawer. Bosch dryers use forced air at a lower temperature for drying, which saves you energy. 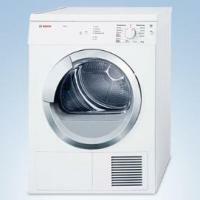 Overall, the Bosch offers some really incredible features in a clothes dryer. It is easy to be impressed when you read the features. 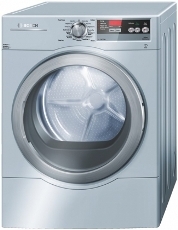 The 500 series Bosch Nexxt dryers come in two different types, electric and gas. Both have the same features and have the backing of the Good Housekeeping Seal and a limited 2 year warranty. With the 500 series, you can take advantage of Duotronic Technology and one hour wrinkle block. The Duotronic technology is designed to prevent damage to any clothing and eliminate the possibility of over drying. 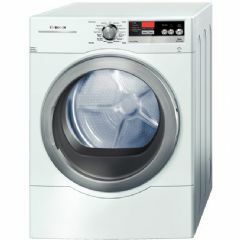 The one hour wrinkles block is designed for those times when you just cannot make it to the dryer when it is finished, the dryer will tumble intermittently to prevent wrinkling.With the 500 series Bosch Nexxt dryers you can also take advantage of a see through door, a digital display, and quiet operations. The dryer contains eleven different programs for tailored drying to ensure gentle care of all of your clothing. The 500 plus series Bosch Nexxt Dryers also come in electric or gas version. 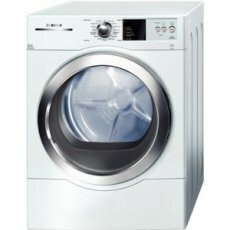 This 27" dryer features the Good Housekeeping Seal with a limited 2 year warranty, along with many key and helpful features. For example, boost the efficiency of your dryer with EcoSensor technology, which is designed to dry your clothing in the most efficient method available. You also enjoy stainless steel drums, which contribute to dry that is exceptionally quiet, with a silence rating of 67 dB. The capacity of these Bosch dryers is 6.7 cubic feet and features eleven different programs for tailored drying, a drying rack, wrinkle block, and gentle drying features. 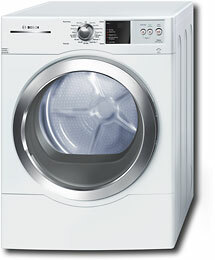 The 800 Series Bosch Nexxt Dryer is available in both gas and electric. 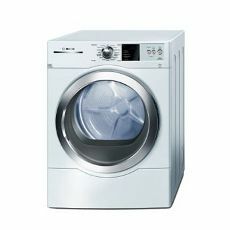 The 27" dryer also comes in two colors, plain white or a duo-toned white and silver. This dryer comes with many of the same features as the previous two series, 500 and 500 plus, however, it comes with 15 drying programs tailored to meet the needs of your clothing, which means more gentle care for your laundry than ever before. Some other features include wrinkle block, which keeps your clothing wrinkle free for one hour thanks to intermittent tumbling, and a drying rack. With stainless steel drums, you are assured that you are purchasing one of the quietest dryers in the United States with a silence rating of 64 dB. 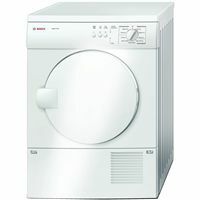 Just as with the previous series, this 800 Series Bosch Nexxt dryer comes with EcoSensor for efficient drying each and every time. As you can see, there are many excellent features that come with the Bosch Nexxt dryers. There are several different styles to choose from, which means you can pick out the style that is best suited to your individual needs. 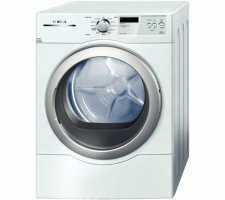 So, if you are looking for an excellent dryer, take the time to give the Bosch Nexxt dryers a second look.